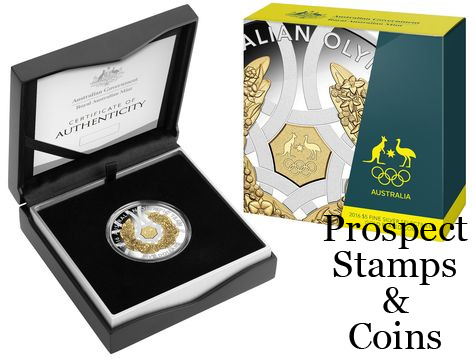 Celebrating the 2016 Australian Olympic Team striving for excellence at the Rio 2016 Olympic Games, this stunning fine silver selectively gold plated coin portrays a beautiful design encapsulating Australia and the Olympics. 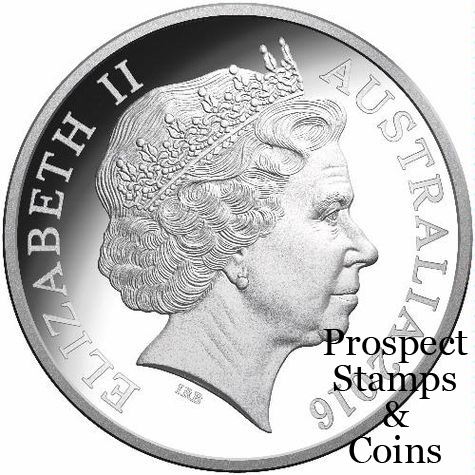 With an extremely limited mintage of only 2016, this coin is a collector’s dream so they’ll want to get to the finish line first to ensure they don’t miss out. 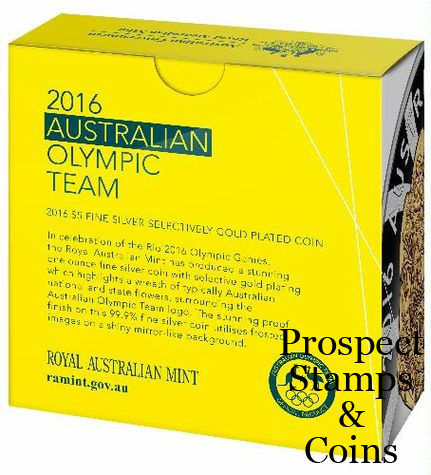 The Royal Australian Mint is one of the official team partners and the producer of the 2016 Australian Olympic Team’s official coin program for the Rio 2016 Olympic Games. The Mint has created a work of art to celebrate our inspirational athletes performing at the highest level and serve as a treasured keepsake long after the Olympic flame goes out in Rio. At the heart of the coin is the Australian Olympic Team logo in gold. Seven rings interlock around the logo and symbolise unity among the Australian Olympic Team members in their journey for Olympic greatness. 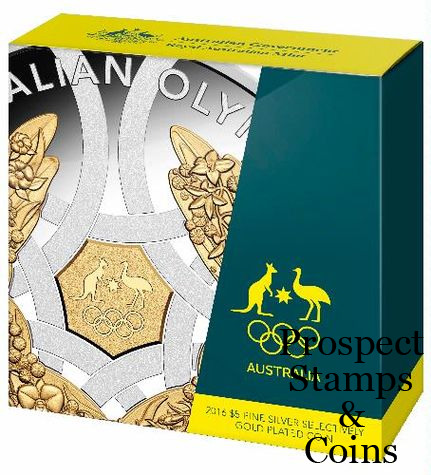 Against both the mirror and frosted finish of the coin background is a magnificent golden wreath of Australia’s national floral emblem together with the floral emblems of all States and Territories that convey the whole nation’s support for our Olympian athletes. 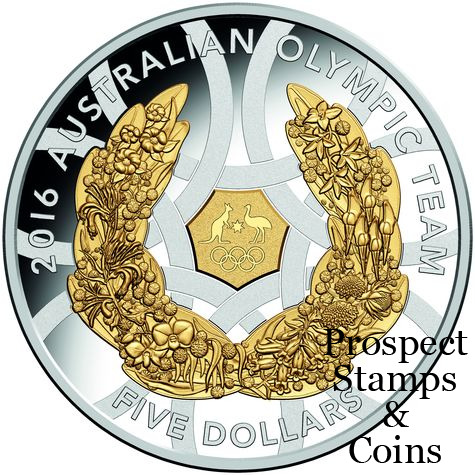 The coin features the Australian Olympic Team logo and a wreath of flowers in selective gold plating.